Lady "Poppy" Pyppenia is guarded by the Sleepless Knight Cyrenic but becomes endangered when an assassin threatens her life in the new king's reign. As Poppy and Cyrenic try to discover who wants her dead, they must navigate the dangerous waters of life at court and of their growing feelings for one another. 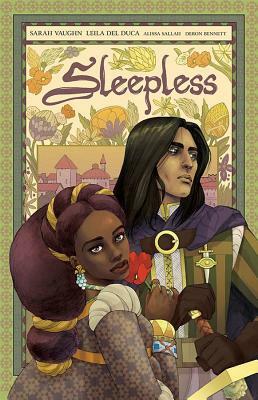 Writer Sarah Vaughn (ALEX + ADA, ETERNAL EMPIRE) and artist Leila del Duca (SHUTTER, AFAR) team up with editor / colorist Alissa Sallah and letterer Deron Bennett for this fantasy romance.